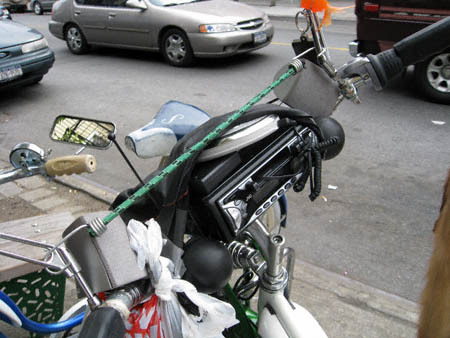 Ever since Bicycle Fetish Day I have become more and more attuned to the many glorious ways people trick out their bikes. That said, I found a real beauty Sunday afternoon while strolling down Graham Avenue. I love the festively colored mud flaps. 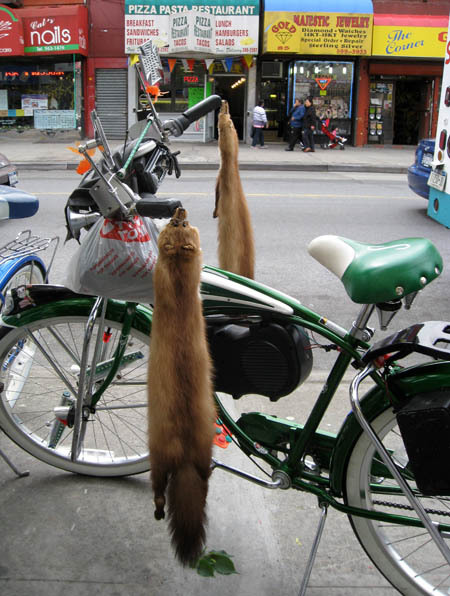 Speaking as a vegetarian I cannot honestly say I am too fond of these dead critters (foxes?) hanging from the handle bars. However if the owner’s objective employing these deadkins was to make a statement, even a bleeding heart like little me has to admit he not only succeeded, but did so smashingly. This cute little goldfish is much more to my liking. And of course what would a great ride be without some tunes? To this end he has rigged a car stereo to a compact disc player. 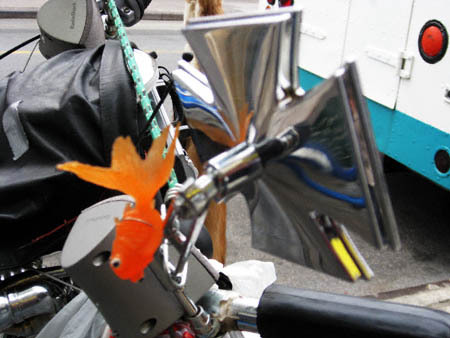 The one thing I absolutely adore about this facet of bicycle culture is its inventiveness. Not only are these bikes moving works of art, but every effort has been made to make its driver as comfortable as possible. 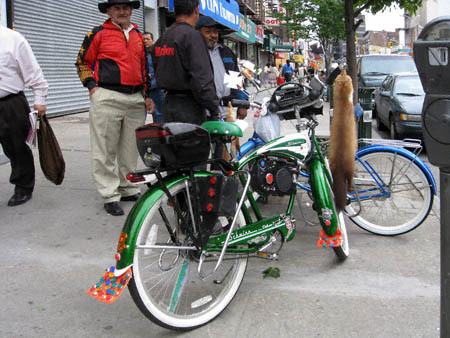 I give this bike two enthusiastic dead foxes up!